We are one of the trustworthy manufacturers and suppliers of a massive compilation of Security Fencing Wires. Our product compilation is appraised for its durability, strength and high corrosion and abrasion resistance. 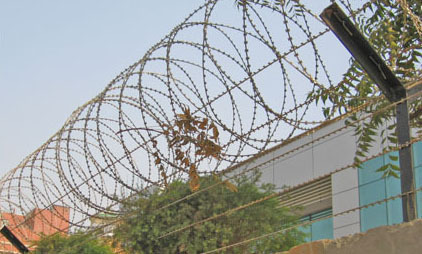 We are amongst the leading manufacturers and suppliers of a wide range of Security Fencing Wires. Our range is widely appreciated for various features like strength, corrosion resistance, abrasion resistance and durability. These are manufactured using high quality raw material like stainless steel, copper & aluminum and are provided to our clients in customized specifications as per their requirements.